Magento2 custom order prefix is the single best module and super useful when you want to change the prefixes of Order ID, Invoice ID, Shipment ID, Credit Memo ID from the admin end. If you need to do the module translation, please navigate to the following path in your system app/code/Webkul/CustomOrderPrefix/i18n. 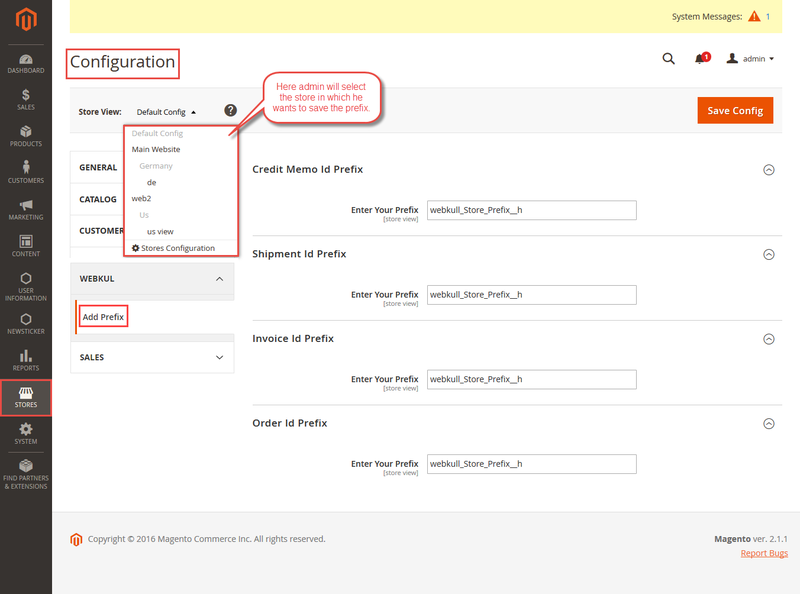 After the successful installation of the module, the admin will configure the module by navigating through Stores->Configuration->Webkul->Add Prefix as shown in the snapshot below. For entering your created prefixes you need to select the store in which you want to save your prefix as per snapshot below. 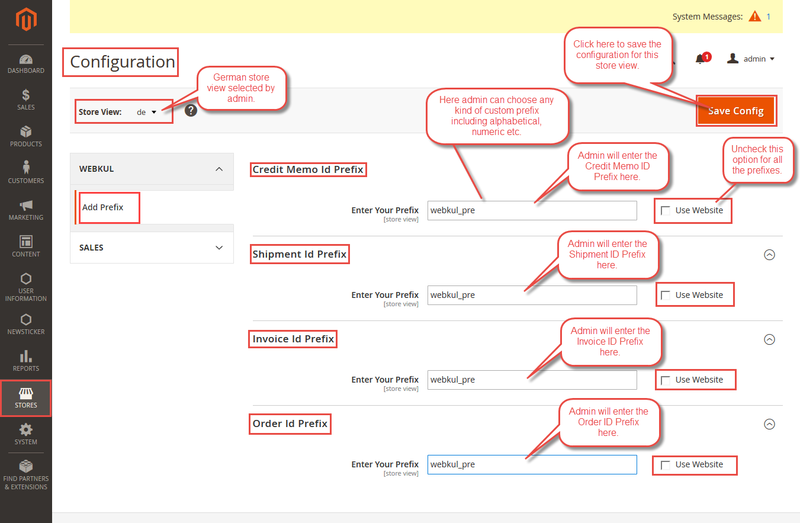 Let’s say admin selected the German store, now admin will enter the prefixes for this store view then uncheck the “Use Website” and then save the configuration as shown below in the snapshot. In case the admin doesn’t want to use the feature of this module then admin can set all the values as null(Blank).